Electrophysiology is the study of the electrical properties of cells. It is a technique that enables the user to probe the ground-truth of cellular excitability. Researchers can exploit different electrophysiological techniques to measure the activity of hundreds of cells simultaneously, or they can use patch-clamp techniques to explore the electrical properties of single cells, and even isolate individual ion channels in patches of membrane to explore their single channel activity. In the early days of the technique’s conception scientists would build their own amplifiers to measure the miniscule electrical currents elicited by ions flowing through channels in cell membranes. It wasn’t until around 30 years ago that the production of the electrophysiological amplifier was commercially manufactured. Since then, several companies have entered the market place to produce electrophysiology systems. However, despite the technological advances we have seen in the past 30 years, especially in digital engineering, amplifiers have not changed much. An electrophysiologist from 30 years ago would recognize a latest-edition amplifier today. Why is this? Were the original designs so good they couldn’t be improved upon? 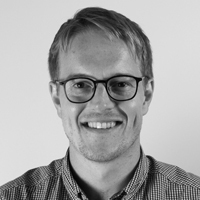 To find answers to these questions and to learn what developments are taking place in this space, we spoke to Dr Jan Dolzer, a scientist-turned-engineer that has spent his career at the leading edge of amplifier development. Jan has worked for the top amplifier manufacturers in the field and today is the Product Manager for Patch Clamp Systems at Sutter Instrument Company. Adam Tozer (AT): What was Sutter Instrument’s vision in developing the current suite of electrophysiology equipment? Jan Dolzer (JD): The first part of our vision was making a turn-key, easy to use patch clamp software that has a lot of capability and is contemporary. The existing offerings date back at least a decade in most cases and, of course, they have certain drawbacks in terms of the type of data that is recorded. For example, how do you keep data in their temporal or environmental context? What were the environmental conditions, like recording solutions, for example? Experimenters usually perform pharmacology when they do patch clamp experiments. Keeping track of when they change solutions or change some other conditions is a very important aspect to experiments. So, making sure scientists have all the information they tend to write down in their lab journal included in their software and tied to their electrophysiological data points was a key part of the vision. Because, it's not a question of ‘whether or not’, but ‘when’ your paper records are stripped off the electronic data, and then it's really hard to make sense of the data if you don't have the information somehow tied together. The second part was to make a system that is the whole solution for electrophysiologists. Our amplifier systems are complete packages with the amplifier and the digitizer being one piece of hardware, and the software being an integral part of the package. It's not just an amplifier our customers take home when they purchase our system. And going even beyond that, we have expanded our product portfolio to the point where we can configure a complete patch clamp set up for a customer, from the air table, over the microscope and light sources, manipulators and stages, perfusion system, all the way to integration of sophisticated imaging systems, such as our MOM® two-photon microscope. Not to forget the micropipette puller and glass capillaries, of course. Working with a customer to compile the equipment that precisely meets their needs is a service that has become particularly popular among new researchers who are establishing their first own lab. 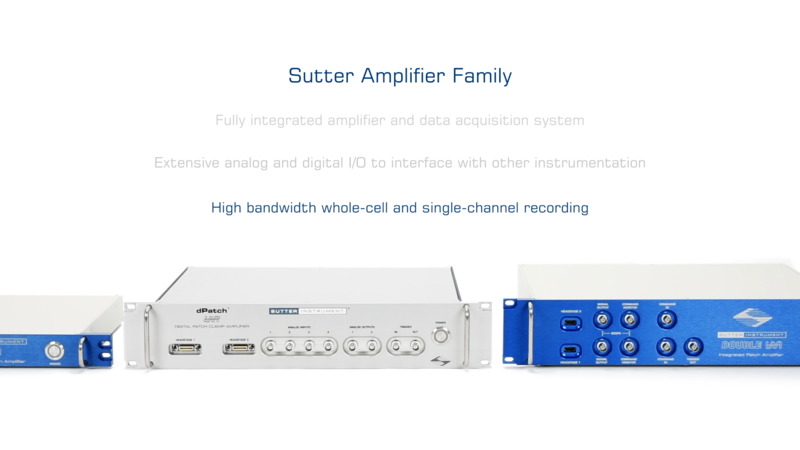 Sutter's suite of electrophysiology amplifiers. Get information on the full range here. [AT]: So why go fully digital? What are the benefits that dPatch® brings to electrophysiologists? [JD]: Well, one is contemporary design. While designing it is not exactly trivial, it's more cost-efficient to produce a fully digital amplifier these days. Many analogue components are increasingly hard to source, and that makes them expensive. Digital circuitry also has the advantage that, particularly in terms of capacitance compensation and series resistance compensation, you can do pure math. Meaning you don't have to work with the non-linearities of analogue components, which can cause oscillation or ‘ringing’ that can kill your cell. Also, it’s much easier to get the automatic compensation algorithms, which have variable success in analogue instruments, to work better digitally. [AT]: Does the dPatch offer any advantages in improving signal to noise ratio? [JD]: Noise with the dPatch depends on what you compare it to. The dPatch has a capacitive feedback mode, which delivers a low-noise performance as good as the current lowest-noise amplifier available, without its headstage cooling on. 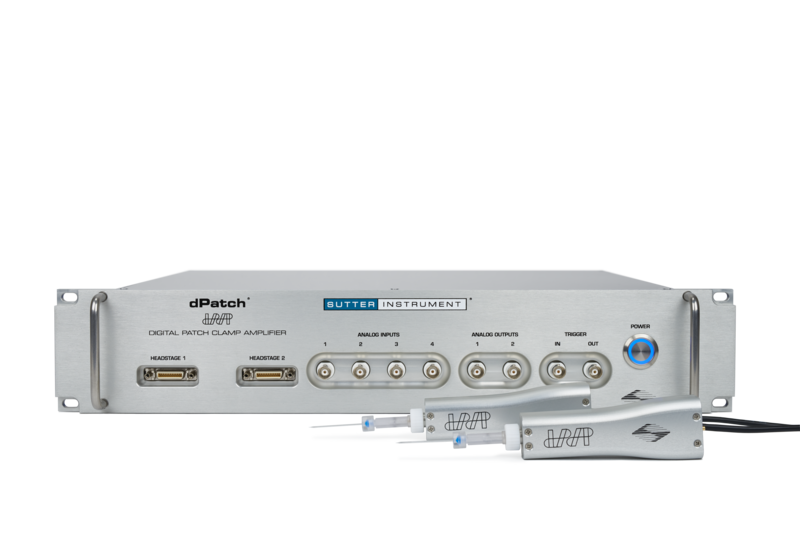 [AT]: Can the dPatch® be used for all types of electrophysiology experimentation or are their limits to its application? [JD]: The dPatch System can do single-electrode voltage clamp, it can do current clamp and, unlike some other amplifiers on the market, it has a dedicated current clamp circuitry. So it can be used as a true voltage follower. That means the dPatch System covers virtually all patch clamp applications, from single-channel recordings that look at the activity of individual proteins, to whole-cell recordings that represent cellular or network activity in tissue slices, acutely dissociated cells, cell lines and cultures, or in vivo. Due to its current clamp capability, the dPatch can also be used for sharp-electrode recordings or field potentials. Although, if that is all you are going to do with your amplifier, using the dPatch would be the equivalent of getting a Tesla Model S with ludicrous mode for your daily three-mile commute. Feasible, and probably a lot of fun, but a certain level of overkill. The only type of recordings the dPatch is not currently designed to do is two-electrode voltage clamp. We may consider adding that to the dual-headstage version going forward. [AT]: How about dynamic clamp? [JD]: That is not currently implemented, but it is in the design pipeline for the near to mid-term future. We hope to be able to realize that purely on the software/firmware end, without having to make changes to the hardware. That would make it available for everyone who purchases a dPatch System now, and that is obviously very desirable. The challenge with dynamic clamp is that you need to have intelligence in the digitizer. If you try running that through the computer, the operating system introduces delays that you don't control, and they can be up to 300 milliseconds or somewhere in that ballpark. That prevents dynamic clamping, as it's much too slow. What you need is fast decision making, you need to be able to respond to changes in the recorded signal faster than something under the control of the operating system could do. And, as the digitization takes place very early in the signal chain of the dPatch, this will be the ideal platform to do that. [AT]: What were the challenges to developing the dPatch? [JD]: The noise performance, the high bandwidth, and bringing it all together. There's a number of challenges. Developing a patch clamp amplifier is not something that you do in an afternoon. There's a reason there's only so many patch clamp amplifiers out there. And of course, by developing one that is leading-edge in terms of digital technology, we were breaking completely new ground. The FPGA (Field-Programmable Gate Array) architecture is completely new, nobody has done that with a patch clamp amplifier before. The high data rate, doing all the compensation in digital means you need to digitise at a very high sampling rate, and we digitise at up to five megahertz. The side effect of that is, not only do you have data at that high sampling rate available for the compensation algorithms, but you can also turn that into another advantage and make the data available to the end user at an incredibly high bandwidth. On the flip side, that means you need to be able to transfer it to the computer fast enough, and finding a way to do that was a challenge. We looked at doing it via TCP/IP connections, we also looked into optical connections, and ended up using a USB 3.0 connection. With the transfer of the data packets and all the digital handshakes that have to go on at an unprecedentedly fast rate, that posed quite a few challenges. But we overcame them! [AT]: What can electrophysiologists do now with the dPatch that they couldn't do before with an analogue amplifier? [JD]: For one, they can record signals at a much higher bandwidth. The 5 megahertz sampling rate lets us run at an analogue bandwidth somewhere between 500 kilohertz and a megahertz. It lets you do fully digital whole-cell compensation. And, you can run single channels with a dual headstage dPatch, in one system. Previously, you'd need two amplifiers for that. [AT]: How easy is it for Physiologists to incorporate the dPatch into their current acquisition and analysis workflows? Can they get their data out of it, for example? [JD]: For acquisition experimenters have to use the SutterPatch® software that comes with the dPatch amplifier, for the very simple reason that the signal gets digitized very early in the signal chain. We don't have an analogue representation of the signal after digital compensation. But once the data has been recorded, digitized and saved to disk, they are available in the Igor Pro file format, which is very versatile in terms of exporting data to other formats. You can simply copy smaller datasets using the clipboard, export the raw or conditioned data in a variety of binary or text formats, there's an interface with MatLab, etc. Our goal is to provide a platform that lets people do all their analysis within SutterPatch® or the Igor Pro environment it uses. But yes, “Can we get our data out of it?” is one of the most frequently asked questions we get. The answer is, yes you can! The other frequently asked question is, “we've got our own Igor procedures, are they compatible?” And the answer again is yes, they are. If you have something that works within Igor, or you've written your own Igor code that does your analysis, you can access the data. [AT]: So, what's in the future for digital electrophysiology recordings do you think? [JD]: In the future would be more integration of other experimental parameters, or other experimental modes. For example, a combining the imaging data in the software so that you can drill down to individual frames, and plot these on the same time axis as your results from your patch clamp recording. For example, if you were measuring calcium currents both with imaging and patch clamp, and you measured the peak currents every second and took a frame there. Right now, it's hard, if not impossible, to keep the data together so that you can drill down from one modality to the other. That is definitely something that we're working on, and we are challenging our customers to utilize the unmatched high bandwidth. That is valuable in auditory research, where they need high bandwidth, but possibly in many other areas as well. Our customers are very inventive, I'm pretty sure they're going to come up with things that we've never even thought of.